I believe cancer is truly a journey of the mind and heart. I am forever changed because of the beautiful individuals who have passed through our door and become friends through our Wind River Cancer Wellness Retreats. Never in my wildest dreams did I imagine that the discipline and counseling skills of a lawyer would mix so perfectly with the compassion that comes from being a ten year cancer survivor, and the empathy of being an ordained Minister. Add on the role of professional negotiator and yoga therapist and you get a wonderful "life smoothie". Like Shannon I come with a wide array of talents from my Engineering and Computer background as well as interests in more creative endeavors like music, carpentry, landscape design and nature photography. We are both outdoor enthusiasts and believe in the rejuvenating power of nature as well as the importance of "balance" - balance between what others need from you and what you need for yourself. Most important, however, is our joint belief in service to others. I truly believe that the positive impact you have on another is returned to you ten fold. I have been positively impacted by so many wonderful people in my life - now it’s my turn to return the favor. ... When I was diagnosed with breast cancer, I immersed myself with diet and nutrition data from every popular book on the market. I quickly became overwhelmed with conflicting information and I didn’t know whether to become vegan, vegetarian, raw or carnivore. Each cancer specific diet recommendation had the science to back up the claim but each sent me in a different direction. I began working with Dr. Chasse Bailey Dorton, ( a doctor, a breast cancer survivor, and an integrative nutrition specialist) to help me find my perfect direction as a “flexitarian”. 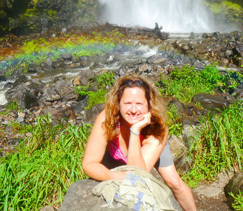 I now have a passion to help other survivors find their nutritional direction, feel better and get healthy with a simple, fun and easy to follow plan of eating a RAINBOW. Life is more fun with color and so is the food that we eat!! 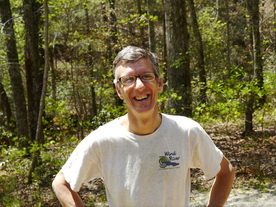 Mike Gentile, known affectionately as Tai Chi Mike, has been a consistent face at Wind River since 2008 providing Tai Chi and Qi gong for our retreat participants. 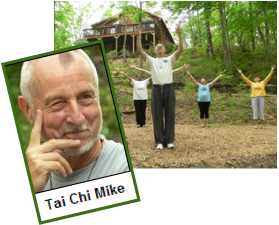 Mike is the founder of Inner Power Fitness, and has over 26 years experience sharing the healing and health benefits of T'ai Chi Chuan, Qi Gong and Reiki. Mike lives in Charlotte, NC, just a 15 minute walk from his three grandsons. "My mission is to help make the world a better place, by helping people become fit, healthy and healed. I welcome all to share my journey of Kindness to Ourselves and Others." , Shirley Ballantyne has been supporting Wind River survivors with healing touch since 2010. In addition to healing touch sessions during retreats, Shirley provides Healing Touch I instruction to those looking to take this energy healing modality to the next level, She also assists with select end of life conversations with some of our alum. She is a registered nurse and graduate of Duke University with over 30 years of clinical experience in multiple fields of medicine, including critical care, obstetrics, neonatology, and hospice. 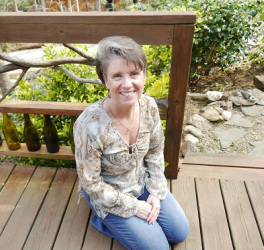 Shirley is a certified Healing Touch Instructor, former healing touch practitioner at Mission Hospital in Asheville, and current hospice and palliative care nurse in Roanoke, VA .
​She believes in eating dessert first, always doing her best, taking nothing for granted, and speaking from her heart.